Perhaps you want the thumbnail to represent the zip file, or display a different frame from the uploaded video that is auto-generated. 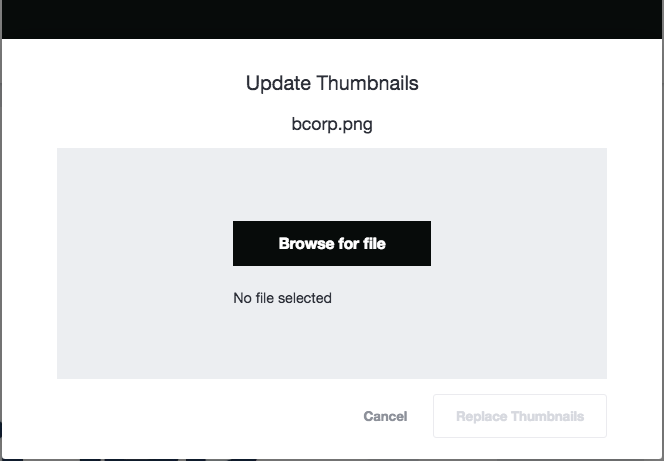 Most file formats get a thumbnail preview generated automatically when uploaded to Image Relay. 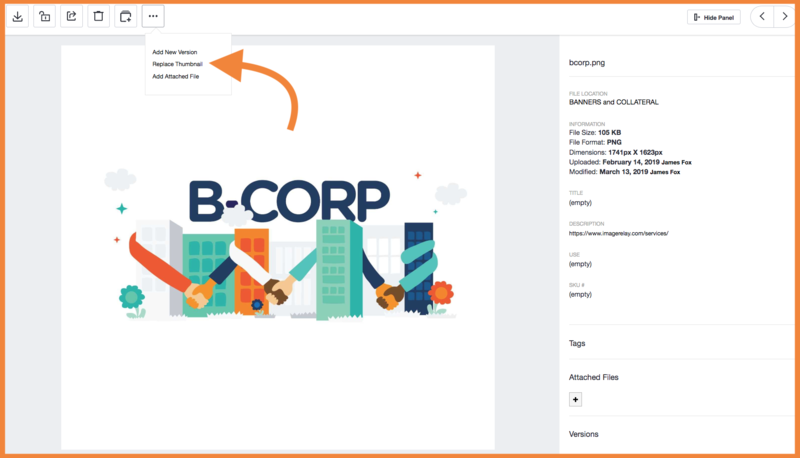 Or, perhaps you want the thumbnail to display a different page from the uploaded PDF, or different frame from the uploaded video that is previewed. Note, this is an Admin function. Click into the asset so you are then in the Details view. Click the options ellipse in left corner, then Replace Thumbnail. In the pop-up that appears, click Browse for File then Replace Thumbnails.